The interest in utilizing the Baltic Sea in a multitude of ways is steadily increasing. Shipping will increase substantially with more routes and bigger ships. Simultaneously, political ambitions are pushing for more permanent sites for renewable sources such as wind and wave energy as well as extending existing nature conservation areas for tourism. These more traditional uses of sea are now also competing with blue biotechnology and mineral mining, increasing the pressure on the Baltic Sea and its resources. As a response to these challenges and to the EU framework directive for marine spatial planning, the Swedish Agency for Marine and Water Management, on behalf of the Swedish government, has developed a roadmap for a national marine spatial plan. What are the main marine spatial planning issues and conflicts concerning shipping, infrastructure, blue biotechnology, military activity, mining and storage, fishing, tourism, cultural heritage, nature, climate change and security risks? How can you structure a bottom-up planning process including municipal actors and interest groups? How can you mitigate conflict between national and local (municipal) interests? To what extent should you integrate environmental assessment into marine spatial planning to weigh environmental consequences against economic benefits of the maritime activity? The EU framework directive on marine spatial planning sets forth that all EU member states shall have created national marine spatial plan by early 2021. According to the directive, the marine spatial planning shall support sustainable blue growth and include an ecosystem services-based effort to ensure an environmentally friendly implementation. The Swedish marine spatial planning process is an open learning process taking place in cycles, in which new planning issues and interests are integrated into the plan. The Swedish Agency for Marine and Water Management (SWAM) will renew the plan at least every eight years. The report Marine Spatial Planning – a current status from 2014 forms the basis for this road map which in turn outlines the issues and time frame for developing Sweden’s first marine spatial plan to be passed by the parliament. SWAM will develop the plan with various authorities and hold sessions together with experts, policy advisors and interest groups to initiate a dialogue and receive input. A finalized draft will be handed over to Swedish government by 2019. Sweden will develop spatial plans for its territorial waters and exclusive economic zone in three areas – Gulf of Bothnia, Baltic Sea and Skagerrak and Kattegat - each with its own distinctive features. In each of these areas, specific features and issues as well as cooperation with neighbouring countries will be assessed. The tool Symphony will be used to assess the cumulative impact of sea-based activities. 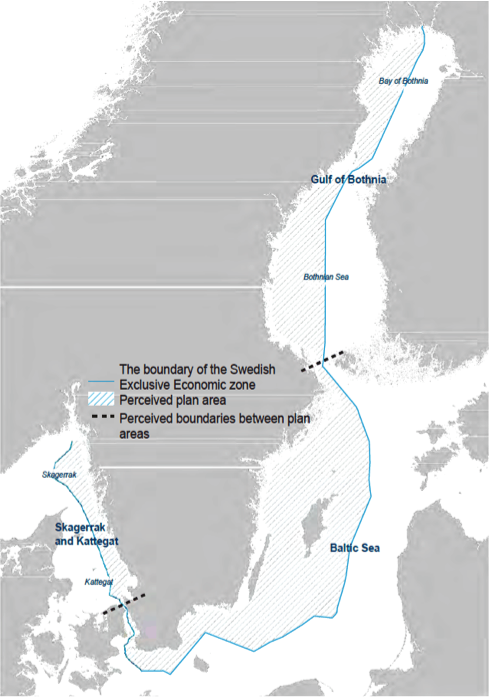 A roadmap for three spatial plans for the territorial waters and exclusive economic zone in Gulf of Bothnia, Baltic Sea and Skagerrak and Kattegat. 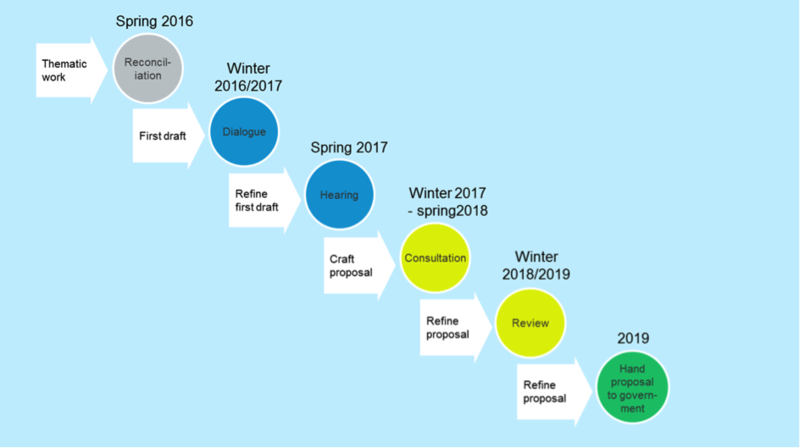 The roadmap shows the Swedish planning process towards a marine spatial plan, including how to integrate Swedish environmental and maritime legislation into the plan. Although the process itself can be of international interest, the contents are specific to the Swedish legislature and planning conditions.